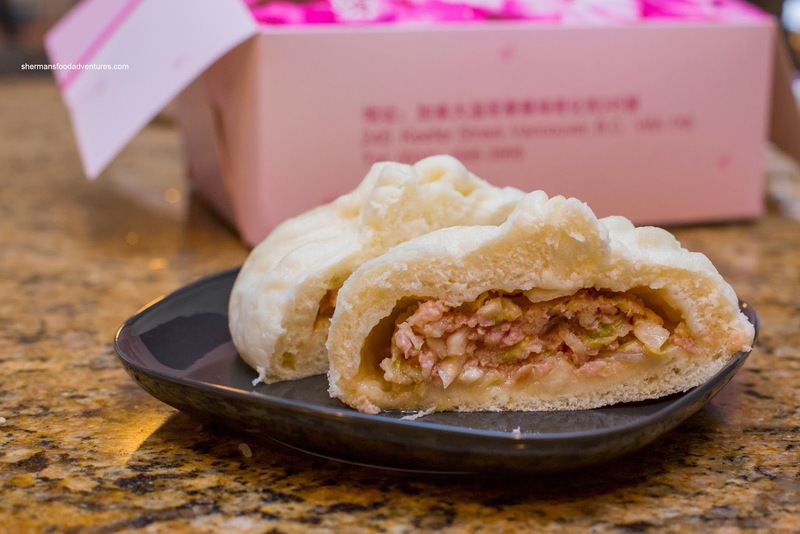 So what's this fuss about the Pork & Veggie Bun (Napa cabbage in this case) anyways? There was a lineup where everyone seemed to be ordering it. I got some fresh from the steamer and boy were they massive. For $1.25, one could get full from just one (or maybe two if you're hungry). Although I liked the soft fluffy bun, the filling was very greasy. It made the inside overly moist and soggy. Naturally, this meant the meat filling was super moist and flavourful with mildy crunchy bits of cabbage. Since I couldn't just buy one item, I got some Dai Bao, literally translated as "big bun" as well. 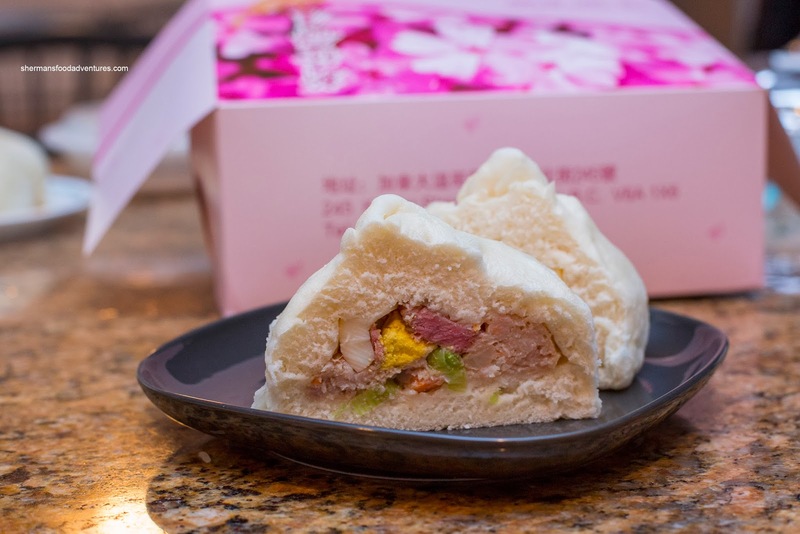 I liked this one more as the filling was more lean consisting of ham, egg yolk, green onion and pork. For the heck of it, I also got the Pineapple Bun (no pineapples in it, just looks like one). I found the dough to be on the denser drier side, which I wasn't fond of. The topping was crispy and sweet though. Lastly, we tried the Taro Root Pudding which was a total disappointment. 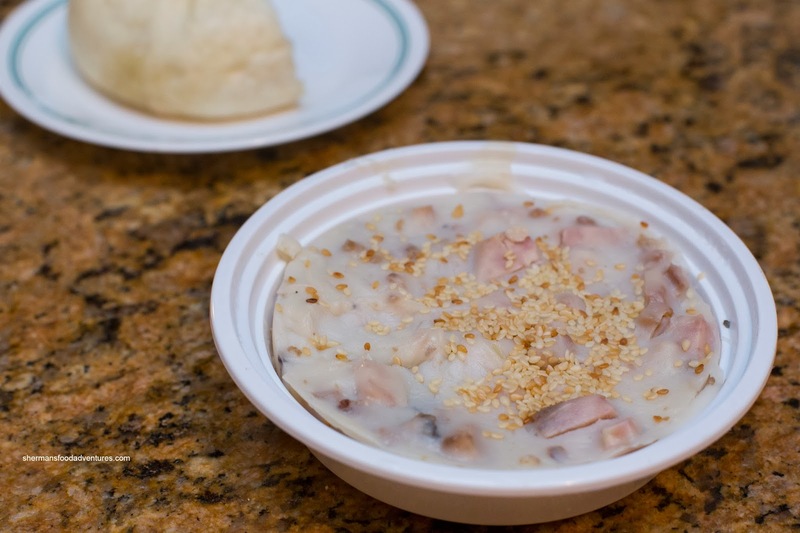 It was dense with hard chunks of taro (where it should be soft). It was also rather bland as well. As much as there is hype surrounding the Pork & Veggie Bun, I found it only average and very greasy. I guess the low price and large portion size makes it a steal. For me, I'll just stick with the Dai Bao and even with that, I'd get the one from New Town instead. 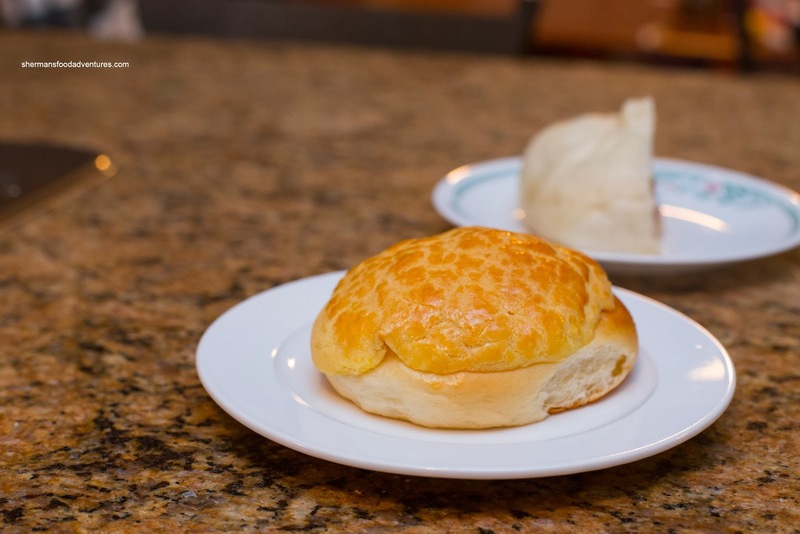 If you get a chance to buy from Pine House, their pork+cabbage buns are very good. Just don't buy T&T's. Quality gone downhill over the years, while prices have gone up. One exception is they have the "mui choy yook" buns which no one else makes. This used to be our family's "go to" for simple cantonese style dumplings (fun gor) until the quality went down. 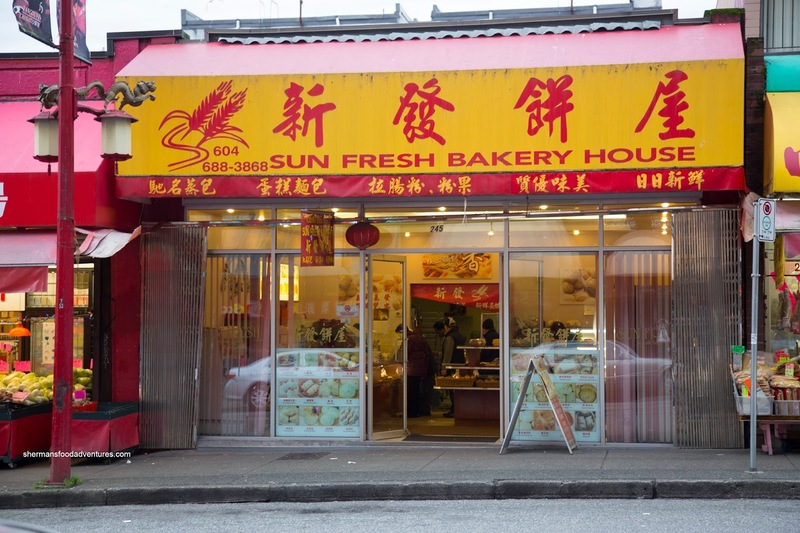 Now, I go to the bakery on Gore and Hastings for their vegetable and meat dumplings (gow choy gow) which are huge, cheap and satisfying. Their fried dumpling (ham sui gok) is also really good as long as it's not a holiday (then they make them in large batches and the quality goes down). As for steamed buns, New Town still sets the standard for me. @Holly - the bakery at Gore/Hastings, is it on Gore, between Pender and Hastings, called Golden Wheat ?